Business Cards are printed full colour with double sided matt lamination. Their shapes range from rounded corners to hearts, stars, clovers, masks, bunnies and more. Custom die cut business cards are produced using a sharp steel cutting blade called a "die" that's formed into a shape similar to a cookie cutter. 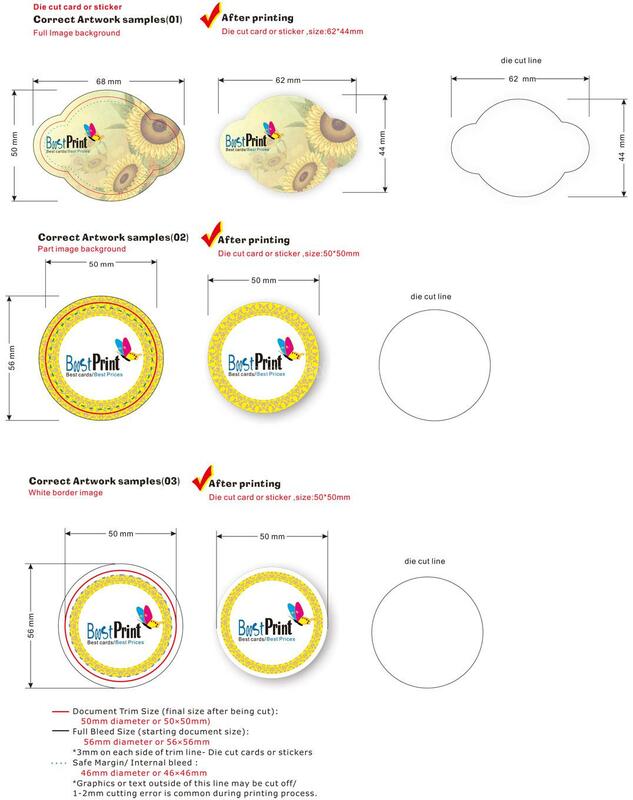 Die cutting can be used either to punch out a decorative shape or pattern within a piece or to create an interesting outer shape for your business card design. Die cuts enable you to create fancy shapes from curvy edges to sharp points, as well as contours of recognizable items such as cars, animals, buildings or flowers - the ideas are endless! 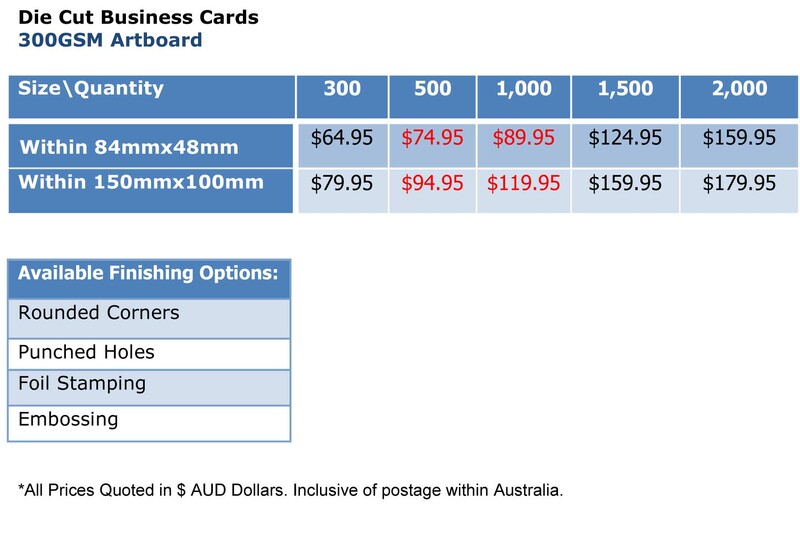 Die cutting is also the ticket for creating custom business cards with large rounded corners, holes, pop-ups, slits or other functional or eye-catching details, or other popular products such as door hangers, greeting cards and postcards. 3. Can we split our order for 500 into 2 names of 250 cards? 4. How do I know if my Order has been Dispatched yet? 5. Would Matt Laminated Business Cards be suitable to use as loyalty cards in my coffee shop? 6. Can you print the colour as same as that in my design?